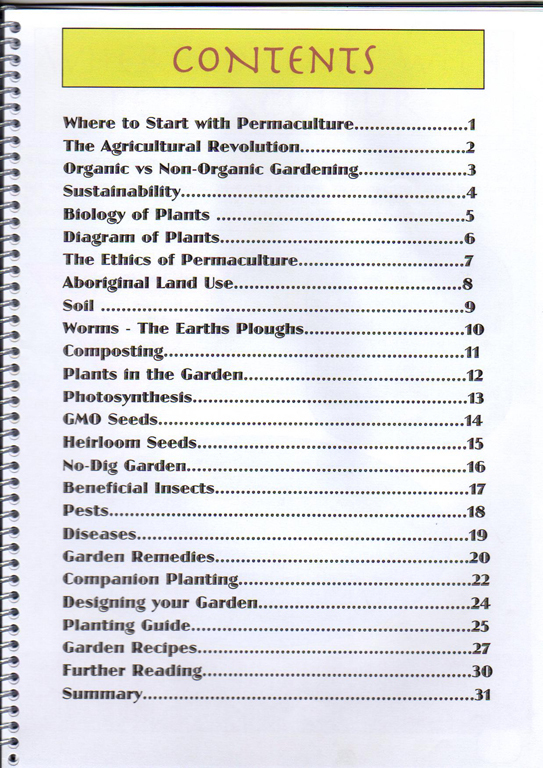 Enjoy our photos and some examples of the creative and thorough worksheets from the students Permaculture Work books . 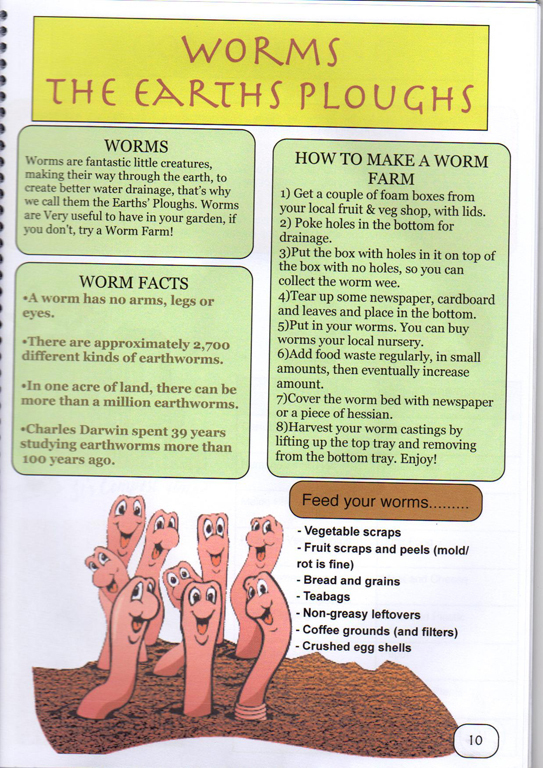 Teacher Miss Lynsey Martin. 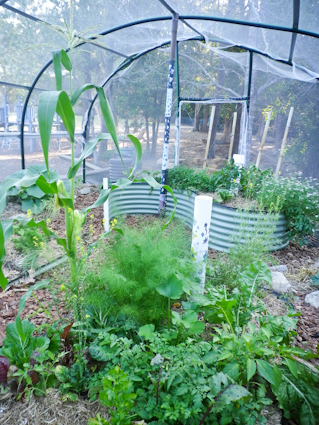 Stella Maris had been working towards bringing ‘Edible School Gardens’ to their school for some time. 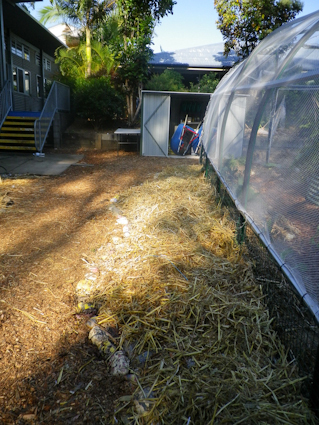 An small grant earlier in the year saw a series of tank gardens established and tended to by the year 7’s, however after much persistence LynseyMartin ,7L, was successful in her grant application with the Qld Gambling Fund and in term 3 the fun began allowing the program to run weekly at the school for the next 12 months. 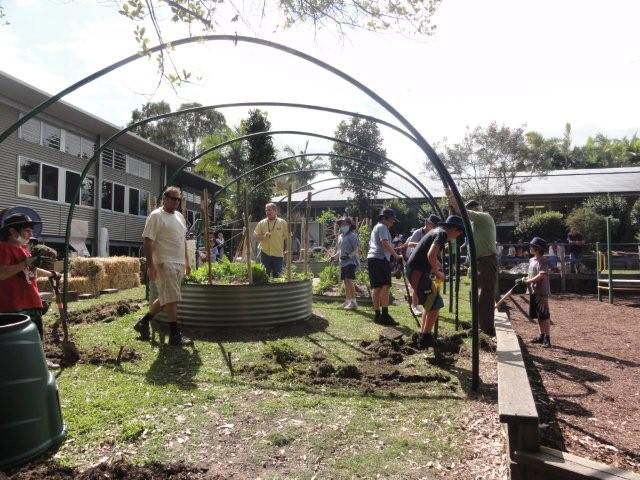 With a range of classes participating from years 1 to year 7, the kids from StellaMaris haveembraced their school garden. 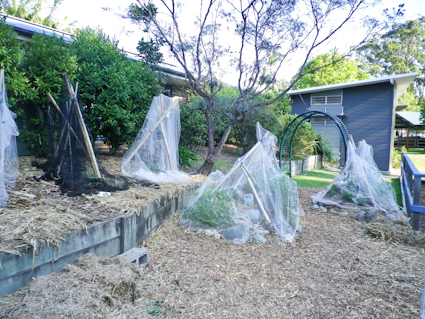 When it came to designing the garden the kids firstly had to consider protecting the garden from a healthy population of bush turkeys, so a large netted structure was incorporated into the design. 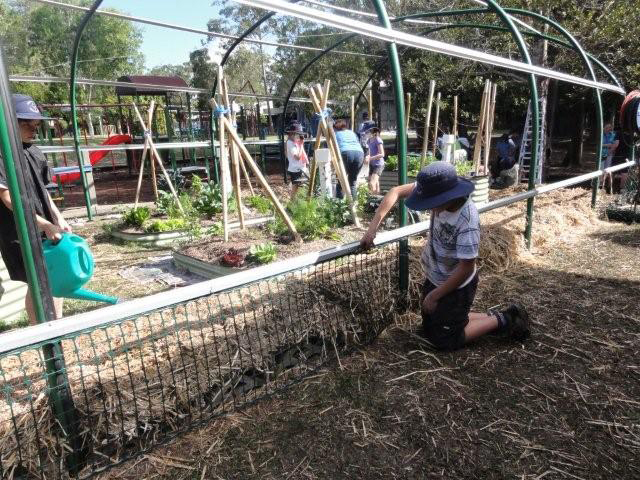 The kids had an abundance of ideas from vertical bamboo gardens, bush tucker gardens to elaborate herb spiral trees. Set up day was a great success with the help of parents, grandparent, teachers and of course an army of enthusiastic Stella Maris students. 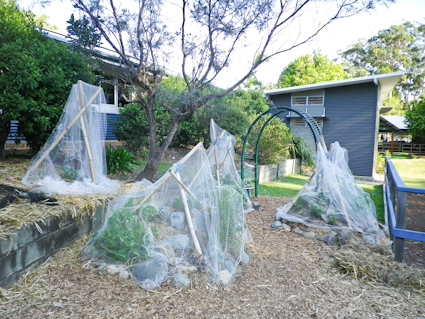 A significant netted tunnel (12x6mtrs) was erected to protect the majority of the garden from bush turkeys along with a series of no dig gardens and beautiful herb spirals to define a grand entrance to the garden. 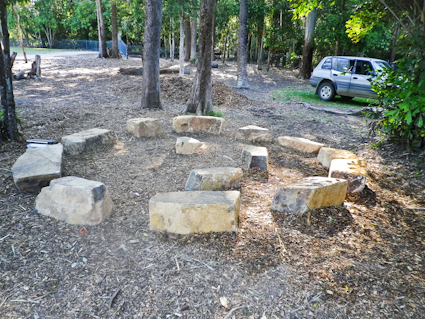 Throughout term 4 the kids continued to develop the garden, mulching paths, planting seedling and seeds, building trellised arches, creating a pumpkin sunflower and watermelon patch, establishing a garden for bush tucker with a beautiful rainbow serpent rock edge and an outdoor learning area using large honey granite boulders as seating.The year 2’s, who were study mini beasts, focused on the insects in our garden and were a formidable force when it came to squashing caterpillars on our cabbages, laying eggshells around leafy greens to deter snails and slugs and checking the progress of our spiders and lady beetles. 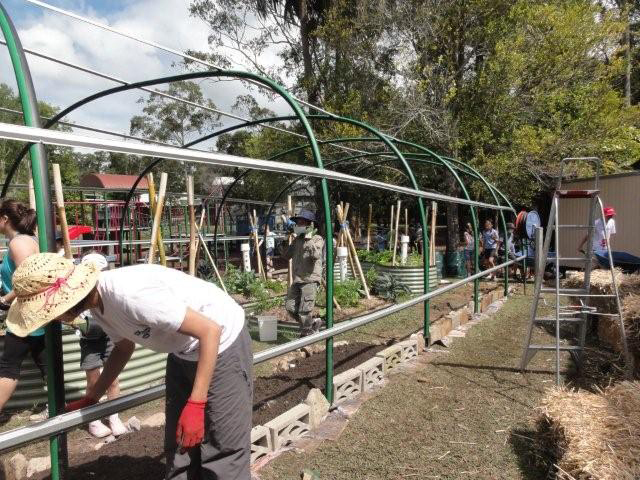 As the weather heated up the students retreated to the shade and really enjoyed the fruits of their labour as they prepared Vietnamese rice paper rolls, tabouli and salads. 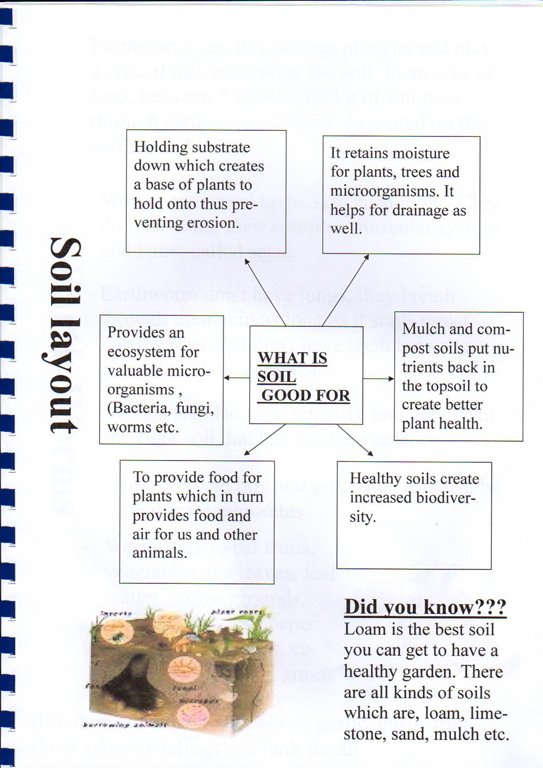 We also considered the distance that our food in general may travel with the ‘food miles’ game, the children developing an even deeper appreciation of what they had achieved by growing and sharing food in the their school garden. 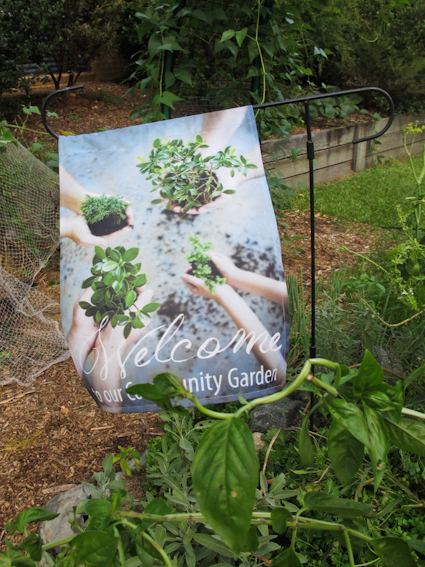 As we said good-bye to our wonderful year 7 students, whose hard work and enthusiasm has been so valued, we are looking forward to welcoming some new faces into the garden and all the projects we have planned for the 2012! 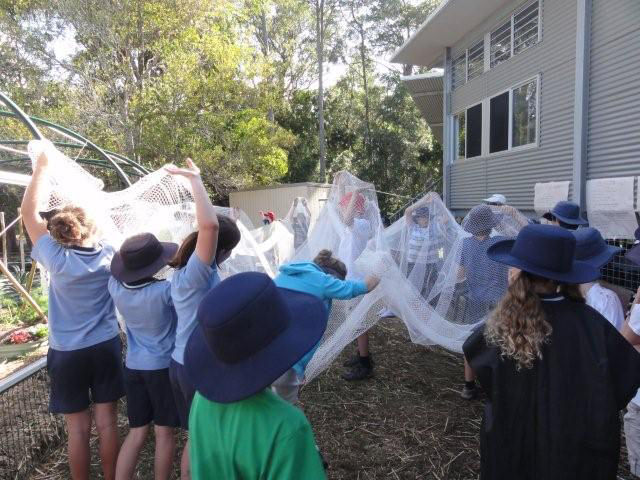 Situated in the heart of Maroochydore, Stella Maris Catholic School is a place of learning for over 700 primary school students. 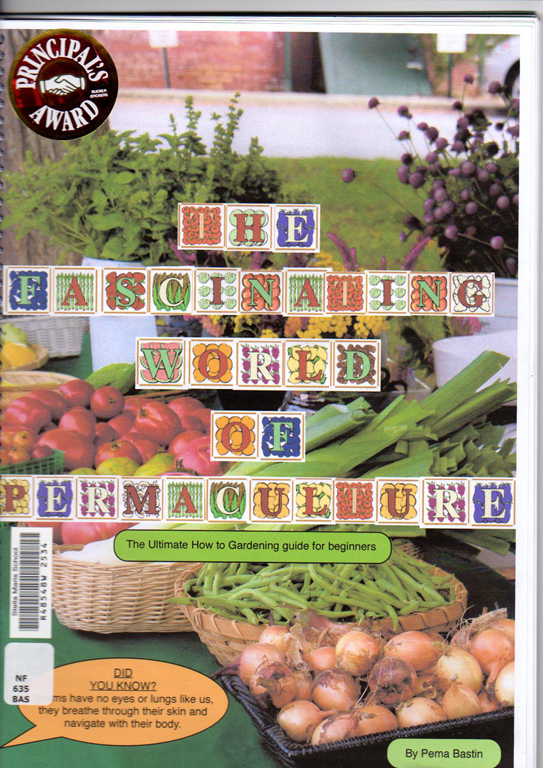 This is a well resourced school with extensive grounds however if you venture a little deeper into the school there is a slightly wilder patch of ground that has begun to transform into something very special over the last 12 months. 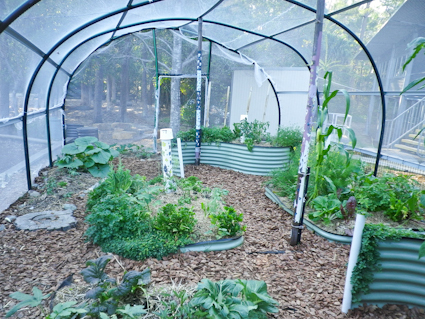 What was once a relatively unused space is now home to Stella Maris Edible School Garden and is fast becoming a place of much growth, curiosity and excitement. 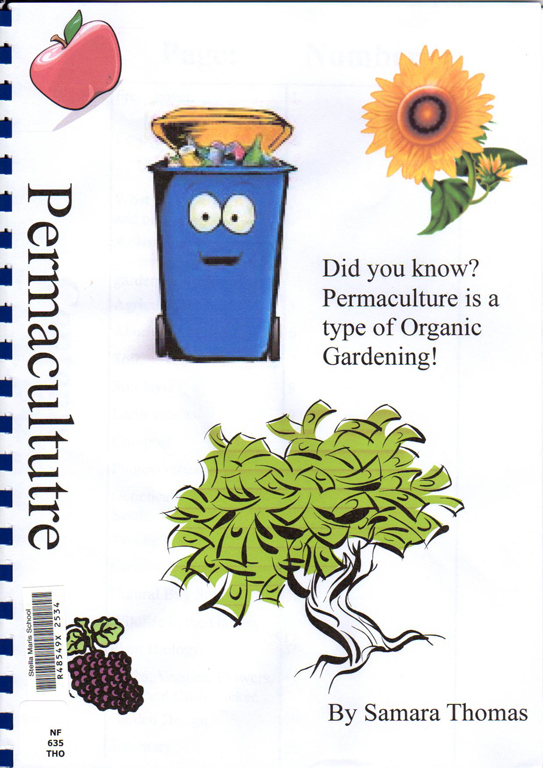 It is here where the students are learning to grow and share beautiful organic food and through their gardening practice they are developing a greater understanding of caring for the earth as well as their own health. 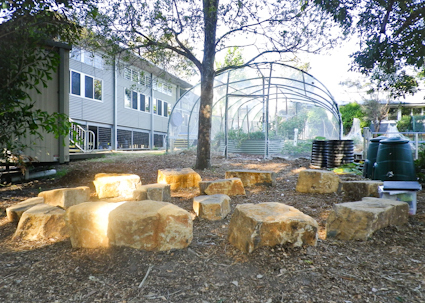 Stella Maris Edible School Gardens has a number of defining qualities including a circle of large granite stones that provides an outdoor learning space in addition to the garden. 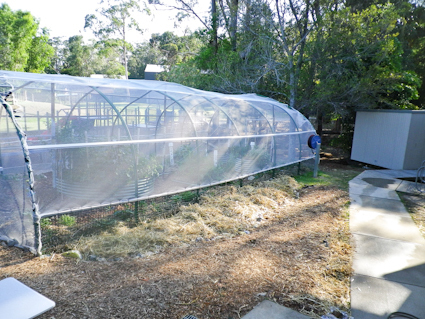 There is also a netted tunnel spanning the garden offering protection from a healthy population of resident bush turkey’s, along with two beautiful herb spirals defining a grand entrance to the garden. 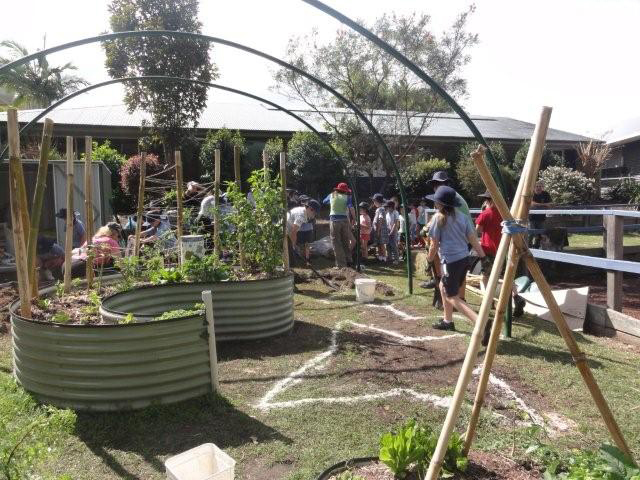 Students in Prep, Year 3, Year 5, as well as a Guided Learning group are participating in the Edible School Garden program this year. 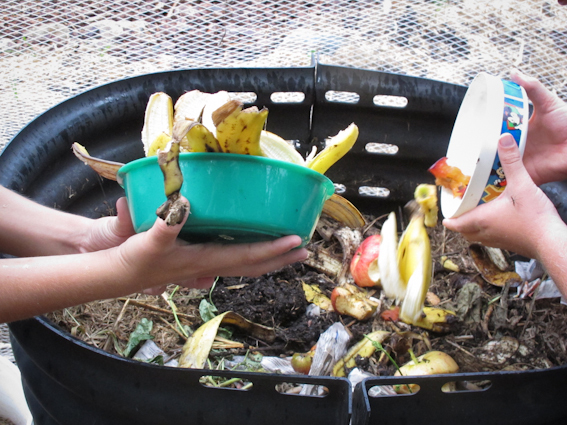 These enthusiastic little gardeners have been busy harvesting/chopping and dropping their summer green manure crop, learning how to recycle as they build sensational compost and planting a new selection of autumn and winter foods. 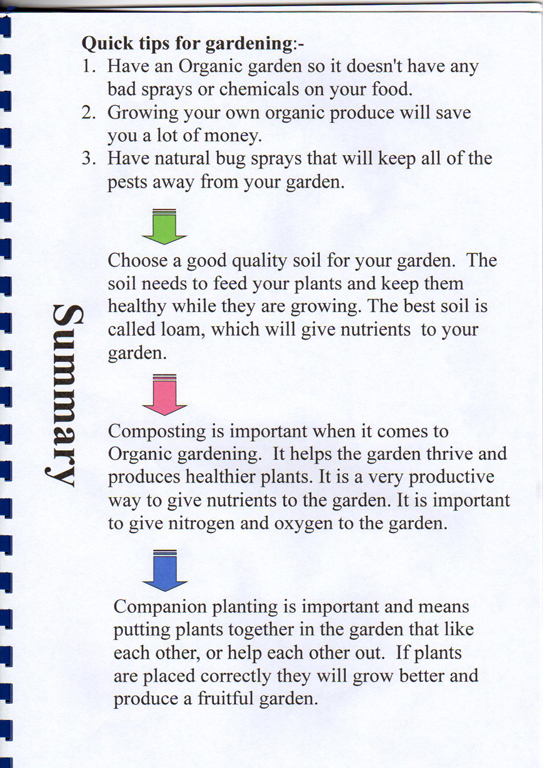 It is also fantastic to see the garden providing learning opportunities for other children within the school as teachers begin to explore links to the curriculum via the garden with the recognition that many aspects of the curriculum via the garden, with the recognition that many aspects of the curriculum from science, SOCE (study of society and the environment) to mathematics can be explored. 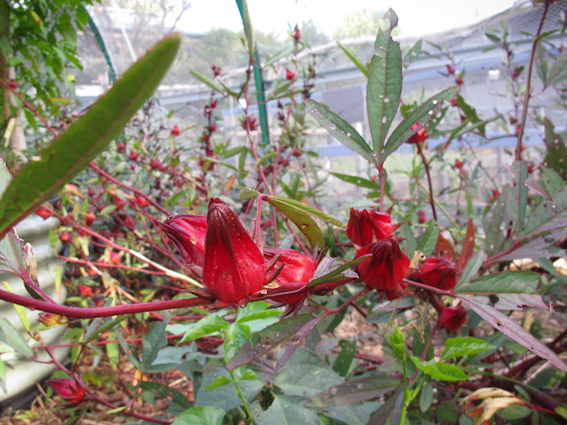 We can’t wait to try the Rosella jam the year 6 students have made.